Would you like to be taller? Just about everyone in the world-except very tall people-would likely answer yes. Why should this be the case, when height has nothing to do with intelligence, talent, fortitude, compassion, or indeed any of the factors that make us human? In her thoughtful and provocative book, Tanya S. Osensky examines "heightism": the widely held and mostly unconscious notion that taller is better. She explores how and why short people are considered by many to be inferior, and describes the ways in which height bias affects them. Prejudice against short people is so common and casual that we do not even notice it, yet it factors significantly into discrimination in the workplace, in social situations, and beyond. The most helpless victims are short children, who are frequently subjected to years of hormone therapy, even when they have no physical need for such treatment, simply in an effort to make them taller as a way of countering this social bias. There is little legal recourse for short people who suffer workplace discrimination based on height. 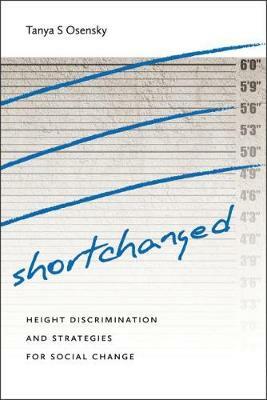 This succinct book exposes the cultural, medical, and occupational issues that short people face, which are often disregarded as unimportant. Osensky challenges heightism by disclosing some beneficial aspects of shortness and suggesting avenues of activism and change.